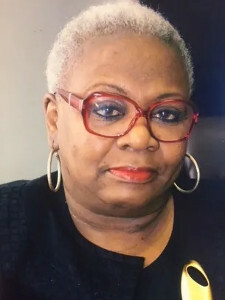 Dr. Pollard earned a Bachelor of Arts degree in Sociology/Psychology from the University of Pennsylvania, a Master of Science degree in Human Resources Management from Central Michigan University and a Doctorate of Education in Administration and Supervision from Clark Atlanta University. She also did postgraduate studies at Emory University (Executive Management Program) and at the Institute for Applied Management and Law. She is an alumna and Board member of HERS (Higher Education Resource Service). She also serves on the Boards of Release to Reunion and Keep South Fulton Beautiful, Inc. In 2016, she was elected to the Board of Sage Scholars, Inc., the first woman and the first African American to serve in this capacity. Dr. Pollard has served as a volunteer for thirty years for The Martin Luther King Jr. Center for Nonviolent Social Change; and more recently, the National Black Arts Festival. She participates in numerous civic and professional organizations, including being a life member of Delta Sigma Theta Sorority, Inc. Presently, Dr. Pollard is the Vice President for Institutional Advancement at Morris Brown College in Atlanta, Georgia and, serves as the Executive Director of The Morris Brown College Foundation, Inc.